Ahmose I was a contemporary of King Saul and King David. He expelled the Hyksos from Egypt and founded the New Kingdom. Pharaohs of the Second Intermediate Period ‘pencilled in’ tentatively. 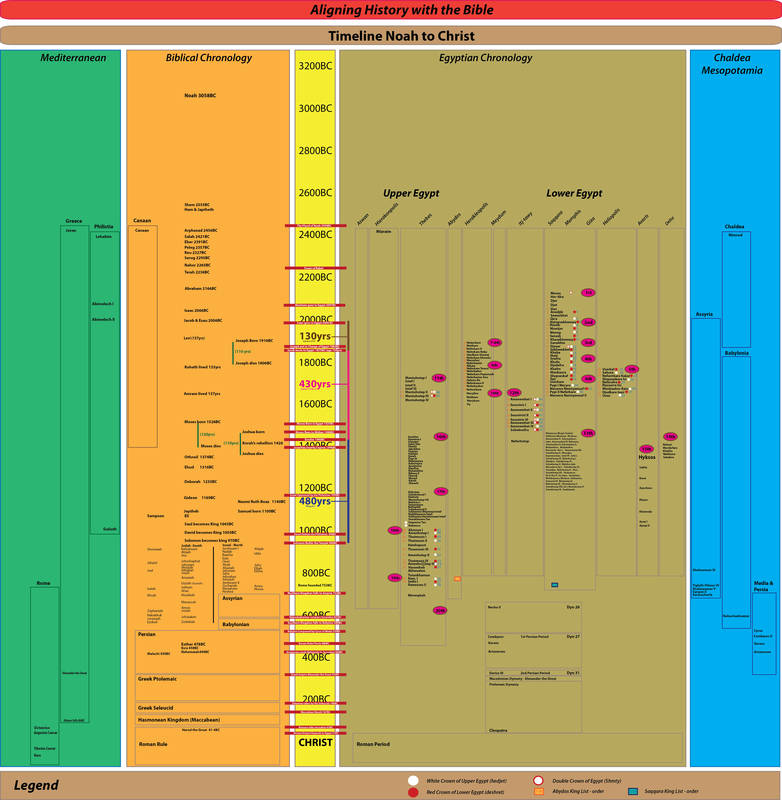 A long sojourn and a revised Egyptian Chronology. Historical Landmarks. Biblical dates with a long sojourn. The time of the Judges in Cannaan corresponds to the Second Intermediate Period of Egypt. 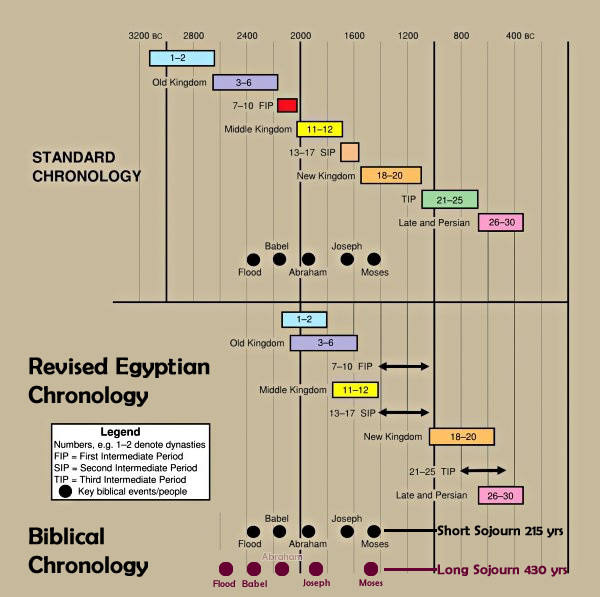 The revised Egyptian chronology of David Down aligned with the Biblical Chronology – (long and short sojourns ending with Amenemhet III as the Pharaoh of Moses Birth. Down identified Amenemhet III as the Pharaoh of Moses’ birth but he believed in a short (215 year ) sojourn and so placed Joseph in the 12th dynasty as Mentuhotep, the vizier for Sesostris I (for which there is little evidence). 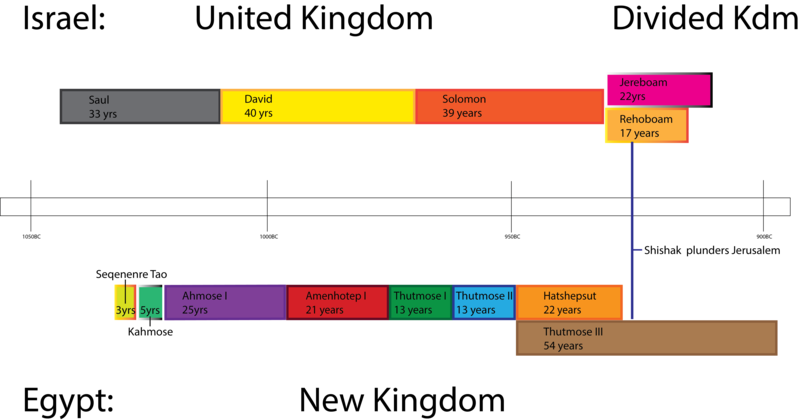 Aligning Down’s Revised Egyptian Chronology with a long sojourn (430 years) of Israel in Egypt ending with Amenemhet III as the Pharaoh of Moses’ birth, however, places Joseph very close to the third dynasty when Imhotep was the vizier to Djoser (for which there is a good match with considerable evidence). 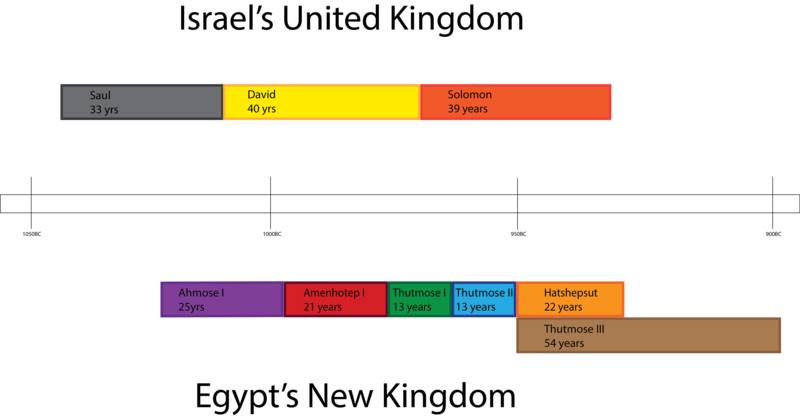 The exact chronology of the Old Kingdom still needs to be worked out but at least this puts Joseph and Imhotep in the same time period. Egypt was destabilised when Moses (Amenemhet IV) went into exile as there was nobody to continue the 12th dynasty. 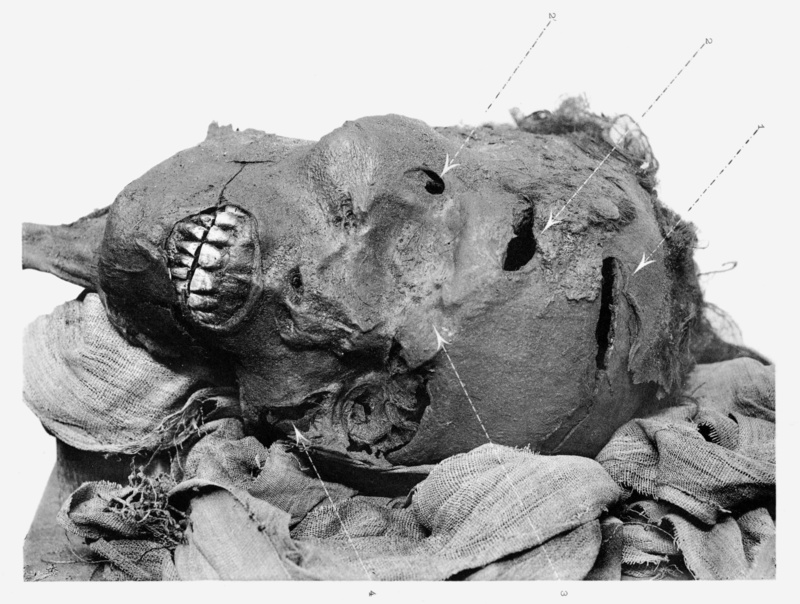 When Amenemhet III died, his daughter Sobeknefru had to become pharaoh. She only lived for 4 years (possibly 8 years) and when she died, the 12th dynasty ended. Sequenre Tao – second last Pharaoh of the seventh dynasty. Father of Kahmose who lead a rebellion against the Hyksos and successfully evicted them from lower Egypt. Sequenre was also the father of Ahmose who founded the 18th dynasty (the New Kingdom) of Egypt. The Hyksos Ruled over Lower Egypt from their fortress at Avaris situated on Egypt’s border. They maintained strong garrisons throughout the country and subjugated the regional Nomarchs. Here the Shepherd Kings received tribute from the regional governors and their (Nomes). The princes of the nomes were treated in a distainful manner as described in the Sallier Papyrus I. Apopi II (Agog II / Agag) use to send humiliating demands to Seqenenre in Thebes. Seqenenre was arrested and brought to Avaris. Seqenenre‘s son Kahmose lead a rebellion in which the Hyksos were eventually defeated with the help of King Saul from Israel. The Hyksos / Amalekites were forced to leave Egypt. Ahmose I, brother of Kahmose, son of Seqenenre became the first pharaoh of the New Kingdom / 18th dynasty. It was Saul who captured Apopi II (Agag) alive and all but anihilated the Hyksos / Amalekites after they left Egypt. Apopi II/ Agag was taken to Samuel who put him to death. The 16th & 17th dynasties were contemporary with the 15th dynasty (Lower Egypt); but in different parts of the country (Upper Egypt). The Hyksos were eventually defeated in an uprising lead by the family of Ahmose I from Upper Egypt. Ahmose I lost his father Seqenenre and his brother Kahmose fighting the Hyksos. The Hyksos were forced to leave Egypt and Ahmose I (Nebpehtyre) became the first pharaoh of the 18th dynasty (which was the beginning of New Kingdom of Egypt as it is known). Ahmose I became the pharaoh at a very young age and was coregent with his mother Queen Aahotep in the early part of his reign. 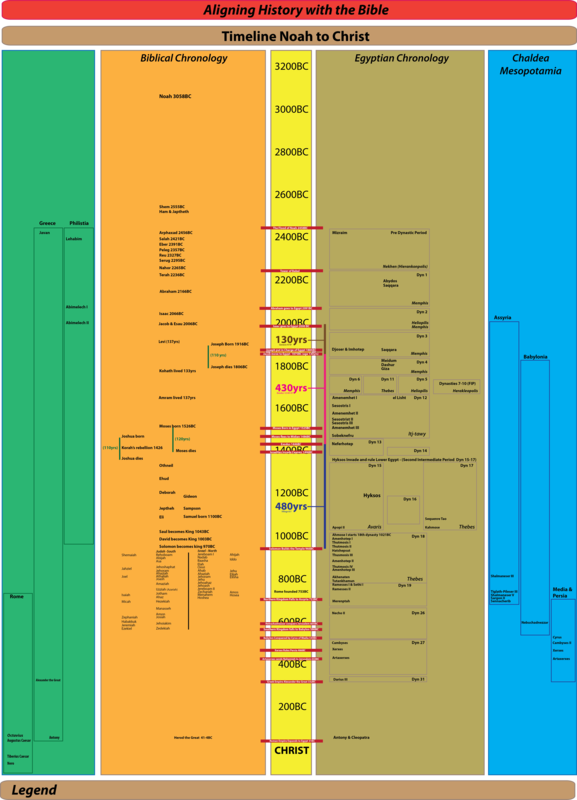 The rule of the Hyksos constitutes most of Egypt’s second intermediate period (when foreigners ruled between the end of the Middle Kingdom (12-13th dynasty) and the beginning of the New Kingdom (18th dynasty)). The Hyksos ruled in Lower Egypt for a period of around 400 years starting soon after the 13th dynasty when the Exodus of the Jews occurred. This period is contemporary with the Israelites 40 years in the wilderness and the time of the Judges in Israel. It fits with the Hyksos being the Amalekites of the Bible in every respect. 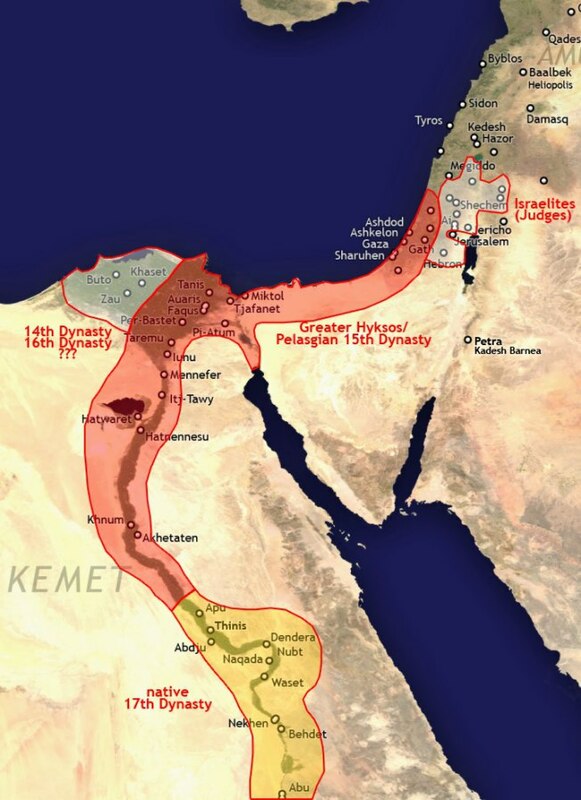 The 16th and 17th dynasties were contemporary with the Hyksos 15th dynasty but in different parts of the country. Noah's Ark found on Mt Ararat – fossilized! Were the Hyksos and the Amelekites the same people?